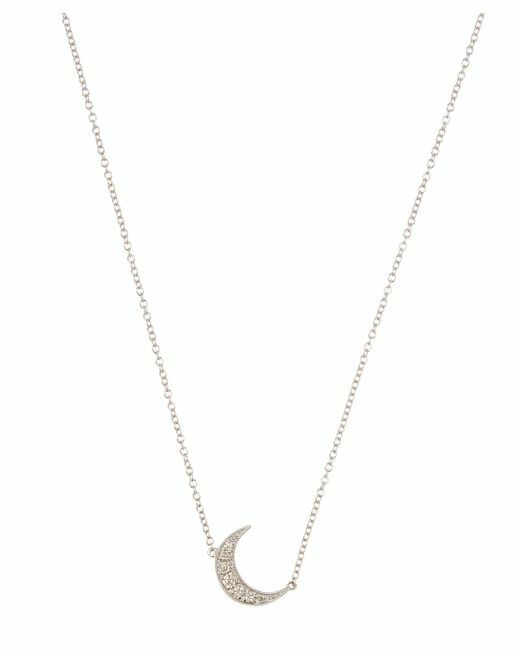 Andrea Forhman's celestially-inspired necklace features a delicate white diamond pavé crescent moon suspended from a fine link 18-carat white gold chain. 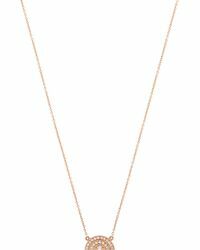 A sparkling example of one of the LA designer's favourite motifs, this elegant pendant necklace is embellished with a starry sky's worth of glittering pavé stones. Set with full-cut white diamonds with a total carat weight of 0.09, it makes a delicate yet striking addition to your curation. 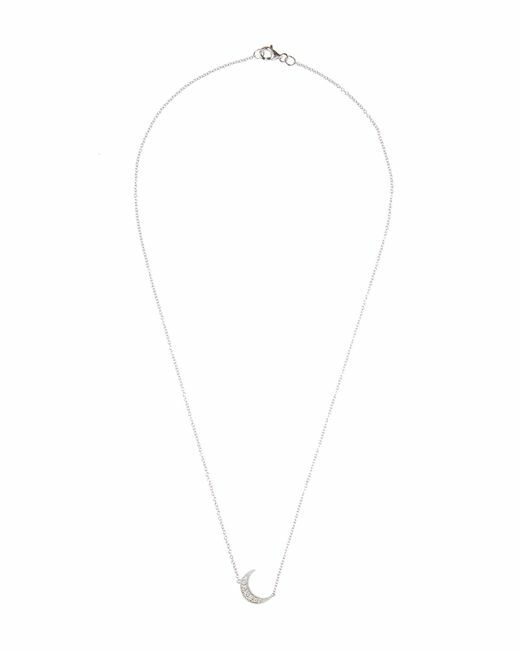 Wear by itself for a minimalist approach to jewellery, or layer with a collection of necklaces for a personal story of style. 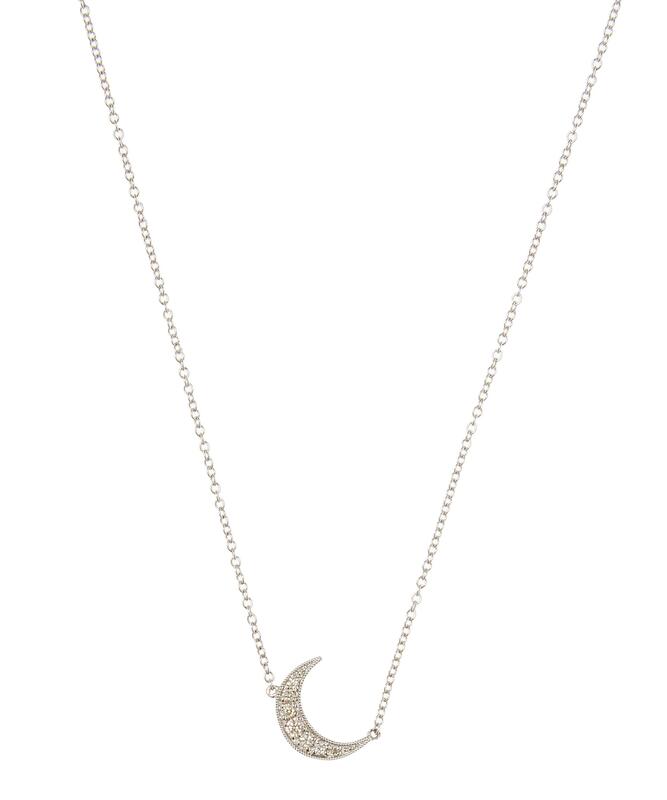 Crescent moon motif. Fine link chain. Lobster clasp fastening. White diamond pavé 0.09 TCW. 18ct White Gold, Diamond Pavé. Pendant – W: 1cm, H: 2cm. 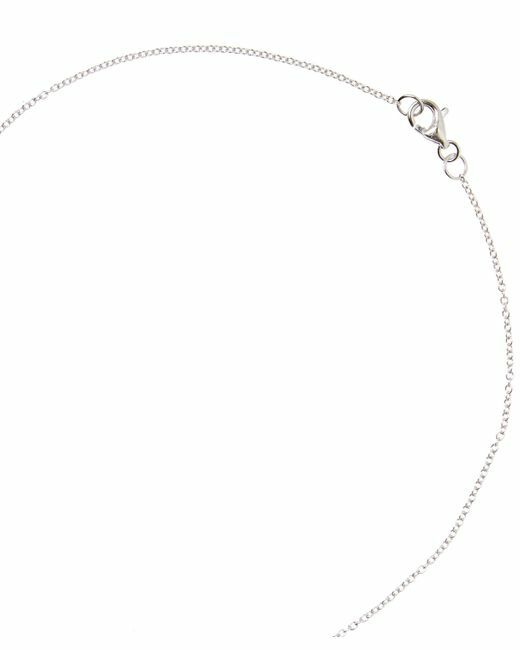 Chain – L: 40.64cm. 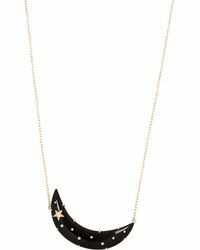 A boho-luxe visionary, Andrea Fohrman creates symbolic jewellery inspired by celestial bodies and the curious goings-on beyond the clouds. With a sun-soaked studio in LA as her base, the designer travels the world hand-selecting the stones that make her pieces so relatable. Each design is handcrafted from 18ct gold and recycled metals by artisans in California and New York. Elegant, distinctive and exquisitely made, Andrea Fohrman's jewellery is built to last. 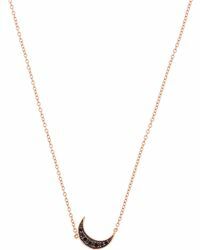 Zoe Chicco 14k Yellow Gold Itty Bitty Crescent Moon And Star Necklace, 18"
Diamond Crescent Pendant Necklace In 14k White And Yellow Gold, .25 Ct. T.w.